For nearly three decades, our epoxy flooring pros have worked to perfect our process, delivering ideal results to businesses across Florida. PPI Flooring of Orlando can help you achieve a perfect look that enhances your brand in a way that keeps your flooring and guests safe. Simply put, every floor system will have a floor finish. The finish is the final appearance and surface our clients and their customers will be able to enjoy for years to come. The floor finish performs many essential functions and provides the final aesthetic appearance. For example, the texture, or the non-slip aspect of the epoxy finish, is very important. It must be safe and easy to maintain and keep clean. Colored quartz can be mixed in with a colored epoxy coating underneath to create depth and beauty. From granite imitation to custom finishes, our concrete flooring pros can provide an ideal finish. While ideal for the floor of your garage, epoxy flakes can also be utilized in workshops, auto dealerships, vet clinics, and more. Combine our epoxy floor coating with vinyl flakes for a rigid result that looks great. Metallic pigments can be utilized as an additive to create a luxurious shine that is as durable as it is unique. PPI Flooring can install a metallic floor finish for retail stores, spas, and more backed by our comprehensive warranties. Some establishments require a high-gloss floor system to provide a quality shine that brightens up the building. You can reduce your reliance on artificial light by relying on the reflective qualities of this epoxy floor finish. This dynamic approach relies on your existing floor materials and can deliver an ideal shine that looks great with minimal maintenance. Our epoxy flooring pros will grind down the surface layer and treat the surface with numerous additives to create a finish that is durable and beautiful. Some businesses rely on a particular level of shine from their concrete flooring. PPI Flooring can rely on a 400-grit resin bond create a satin finish that provides a subtle reflection from overhead lights. No matter your company’s flooring needs, our contractors can help with personalized results! Many industries rely on the safest floor systems to keep employees and customers safe. Whether you rely on your epoxy flooring in a hotel, hospital, or cleaning facility, it’s essential to find the right texture and finish to keep pedestrian traffic safe from slips and falls. Acid stains can create considerable beauty for businesses in need of a fresh look for their floor systems. Our flooring contractors can prep, stain, detail, and seal your concrete floors with a variety of stain options to create a personalized finish that will shine for years to come. These finish options are ideal for manufacturing facilities, pharmaceutical facilities, industrial plants, warehouses, distribution centers, restaurants, and many other professional spaces. We’ll help you to choose the right finish that can make your space look brand-new and boost both the look and functionality. One client may need a high-shine epoxy floor coating with good light reflectivity, while another will have better success with a satin finish. At PPI Flooring, we’re proud to offer a wide variety of quality finishes for your resinous floor. Let us survey your environment, educate you on the benefits and costs of epoxy floor coatings, and help you choose a finish that is suitable for your needs. We bring 28 years of industry experience and more than 15 years in business to bear for your project, no matter the size or complexity. 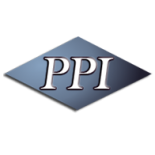 PPI Flooring has installed millions of square feet of flooring in Orlando and throughout the rest of the world, and we specialize in doing the most difficult jobs in the shortest amount of time. For more information, or to schedule a consultation, contact us today!